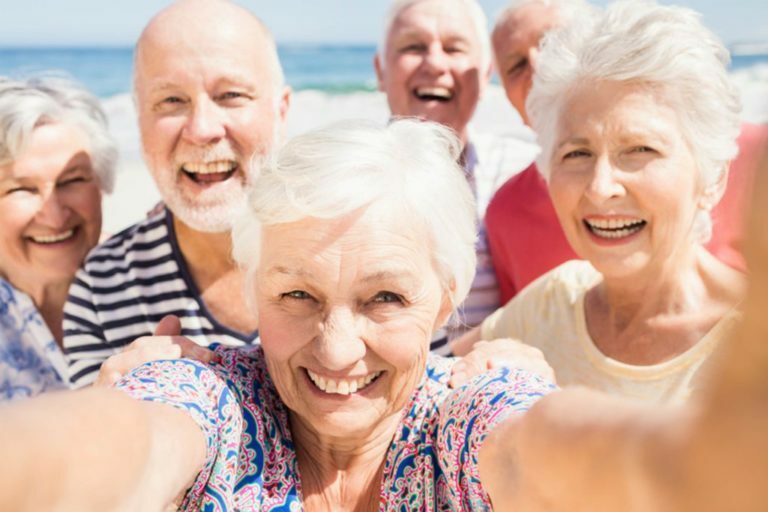 The Spanish For Healthy Life program is designed to create a healthy and supportive learning environment for senior adults to increase their cognitive and social skills. This program supports a healthy brain through dynamic language workshops and works as a complementary activity in your organization. We go where you are! This program has three different levels: Spanish Bronze Club, Spanish Silver Club and Spanish Gold Club. Each level lasts a period of eight weeks, featuring one weekly session. Each session lasts three hours. (*) Spanish knowledge is not requested for the Spanish Bronze Club. You will learn similar words in English and Spanish, greetings, pronouns, and verbs tener, conocer, and despedir. You will learn, numbers, verbs hay, ser and estar. You will learn vocabulary related to the airport. 3 ways to ask questions, question words. Verbs llegar, perder, partir. You will learn the verbs ir y venir, and verbs of movement, and prepositions of place. Articles. You will learn vocabulary related to food and family. Expressing quantities. You will learn vocabulary related to meals, the kitchen, and restaurant. Verbs pagar, querer, pedir. You will learn vocabulary related to family members. Verbs criar, crecer, vivir. Adjetives and possessive pronouns. You will learn verb gustar, ways to say “no.” Useful prepositions and adverbs. Go to the Spanish-Speaking restaurant. You will learn vocabulary related to the house, housework. The weather. Differences between to do/make. You will learn the reflexive verbs and reciprocal verbs. Verbs acordarse, parecerse, and sentirse. You will learn vocabulary related to shopping. Verbs comprar, vender, vestir. Adjetives. Where do adjetives go? You will learn the colors, days of the week, months of the year. Demonstrative pronouns and adjetives. You will learn vocabulary related to the workplace. Verb saber, conocer, deber. The preterit. Verbs andar, tener, poner, etc. You will learn the compound past or present perfect. The negative and interrogative forms of the preterit/present perfect. The comparatives and superlatives. The conditional and object pronouns. Go to the theater movie. You will learn vocabulary related to a healthy lifestyle. Verbs esperar, soñar, atender. The future tense. You will learn the near future. The commands. How do you feel? Planning outdoor activity around town. You will learn vocabulary related to health and resources. How to ask for help. What to say at the doctor’s office. Different parts of the body. You will learn vocabulary related to the Hispanic Culture. Relative Pronouns. You will learn the imperfect. Verbs amar, leer, ser, ir, ver, estar, etc. Idiomatic expressions 1 and 2. You will review the memory cards and learn words and expressions, plus helps with verbs, numbers, and more. You will review the memory cards and learn words and expressions, plus helps with verbs, grammar, and more.